Where can I find non-teaching jobs in China? Here are the answers you need. 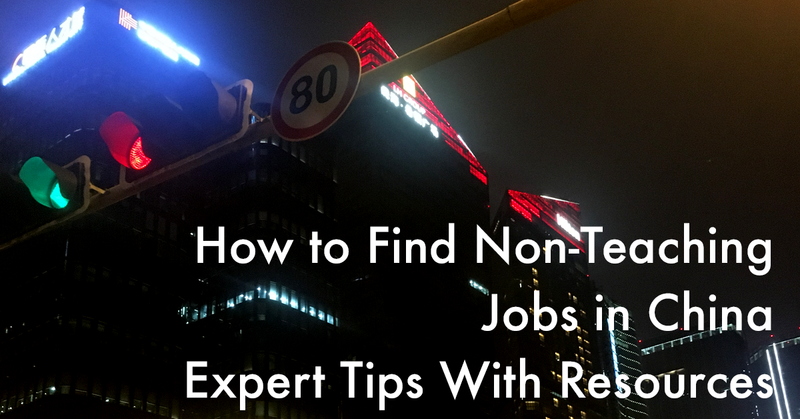 Here’s the definitive guide to finding a non-teaching job in China. Not applicable to English teachers. It is a fact that there are various kinds of jobs opportunities available in China. But, without prior knowledge about the current job market, it might be a bit hard for you to find non-teaching jobs in China. With a little bit of research, planning and hard work, it is possible for anyone to find and get a job in China. 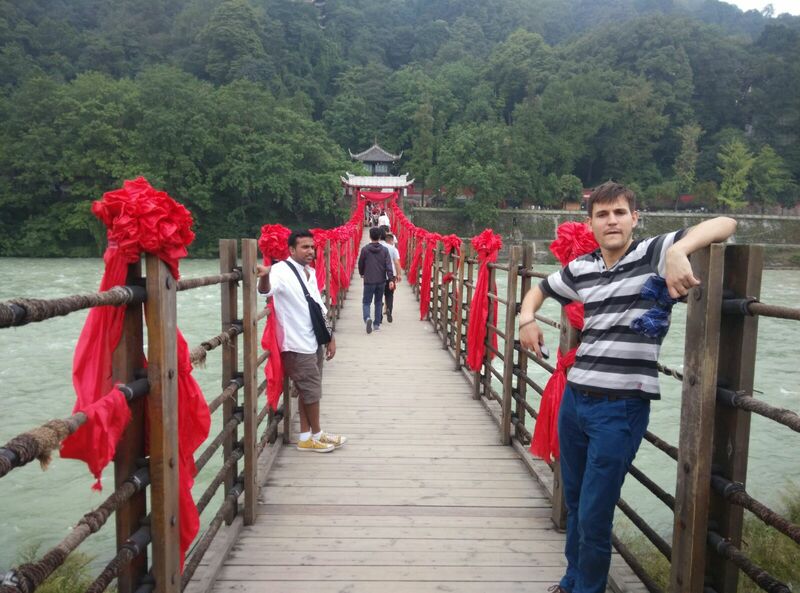 I’m Mighil, a Chengdu-based digital consultant. 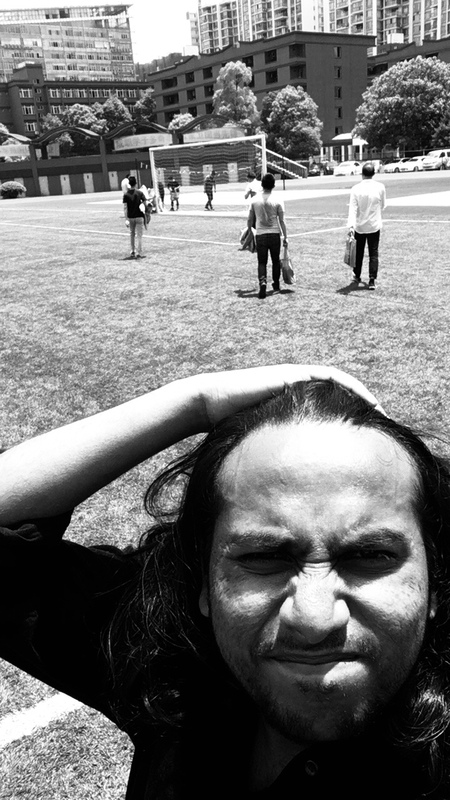 I’ve been living in China since 2015. When time permits, you can learn a bit more about me and my life in Chengdu. 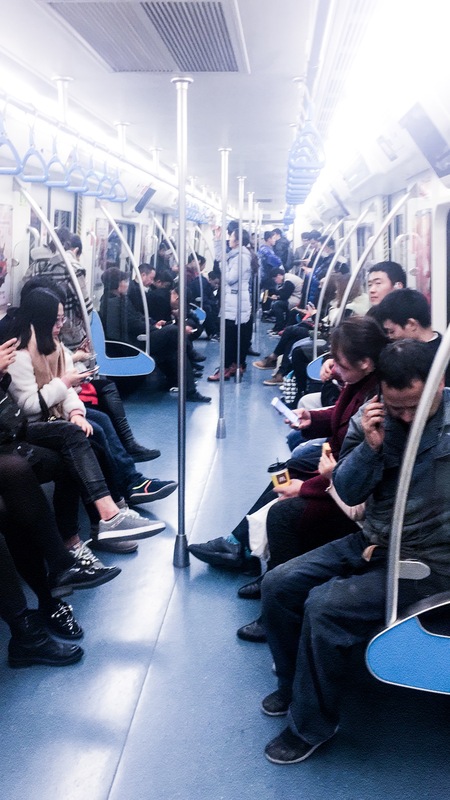 In case you don’t want to spend a lot of time on research, you can always try getting the help of headhunters or recruiting agencies to obtain employment in China. Other than that, you can refer to various career websites, expat blogs and resources available online which would help you to find non-teaching jobs in China. There are many prominent Chinese job websites (some have English interface) available for finding the right kind of non-teaching jobs in China. If you’re a student or fresh graduate, you could also try enrolling for internships in various companies or institutions in China to find a relevant job. Given below are specific tips and techniques for the job seekers who want to find a non-teaching job in China. Guanxi (Chinese: 關係) defines the rudimentary dynamic in personalized social networks of power and is a crucial system of beliefs in Chinese culture. Simply put, guanxi is a relationship in the business context, based on mutual trust and benefits. You can try to build your networks by attending certain networking events some of which should be specifically related to China. You can gain knowledge about a variety of contacts related to various job sectors such as the corporate sector, management, etc. through these events and meetups. Job websites are one of the best ways to find a relevant job in any province in China. Go ahead and register an account in some of the popular job websites and search for the desired non-teaching jobs in China. Such websites also allow individuals to gain access to specific contacts of in-house recruiters which are almost unavailable outside the mainland. These websites also offer various tips and suggestions regarding how to get a job in any place. 51job comes with an English interface and every other site is only available in Chinese. I do offer job consulting and CV translation services if you’re interested. I’ll tailor your résumé in Chinese so that more employers will be interested in reviewing your profile. Based on my previous experience with Chinese companies, medium-sized companies ask for résumé in Chinese along with the one in English. Contact me by email to discuss further. 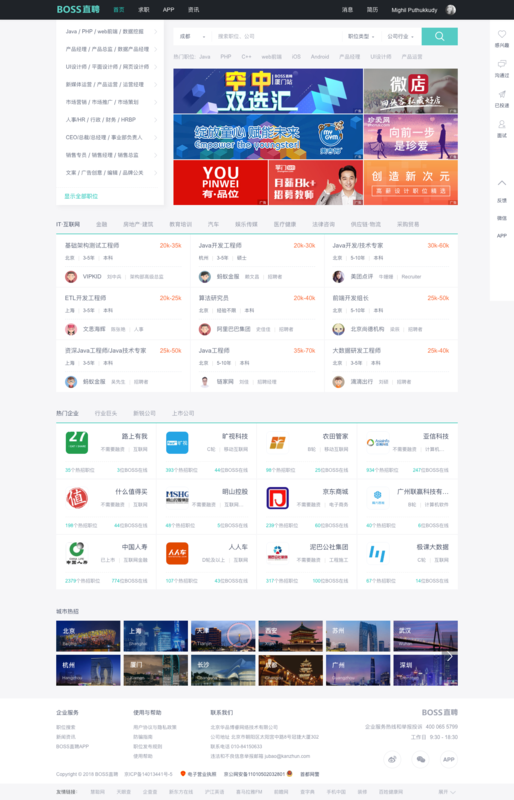 zhipin.com UI. open image in new tab for better viewing. Websites like liepin.com, lagou.com and zhipin.com come with a real-time chat feature so that you can have a chat with the potential employer before applying. A lot of universities in China provide a wide variety of certificate programs related to Chinese business, finance, sales, marketing, management, etc. 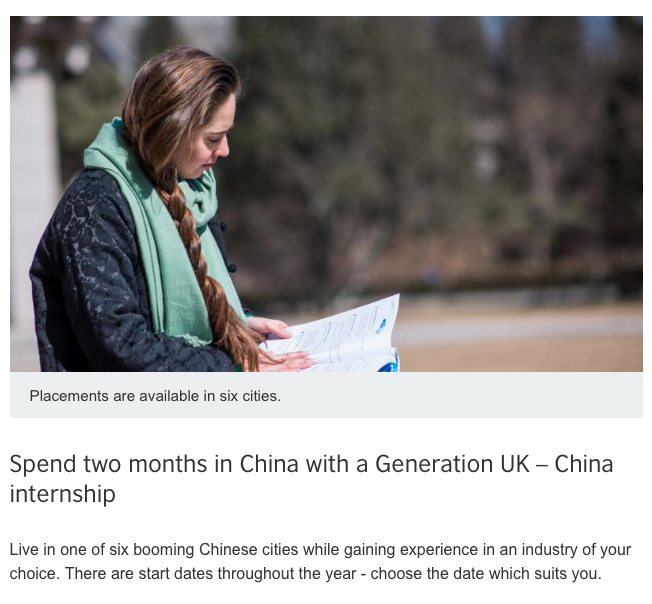 Also, check whether your home-country has an internship program in China or not. Moreover, some of these universities also offer internship programs at large scale companies which will ensure a solid non-teaching job in the future. So, if you’re a fresh graduate, you can try getting enrolled in any of these universities and attend such certificate or internship programs which would later help you to get non-teaching jobs in China. Although this may not be compulsory all the time, it is necessary for the individuals to have a little knowledge about the Chinese language. Individuals who can speak the Chinese language tend to get more attention from the employment givers as a result of having a basic knowledge of the language. There are tons of Chinese courses available online for free. And there numerous apps for Android and iOS that’ll help you learn Chinese. Go ahead and start learning Chinese today! 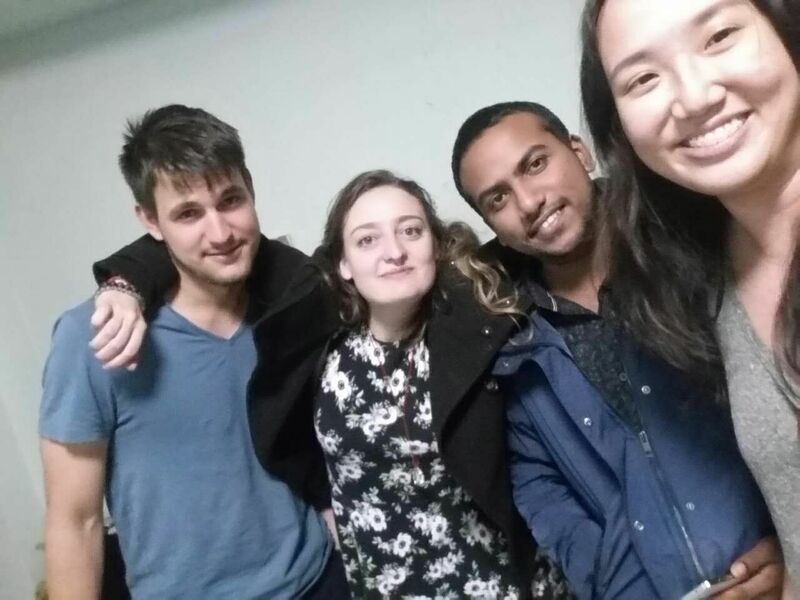 Legends say finding non-teaching jobs in China might seem to be a pretty difficult task and is almost impossible if you don’t have connections. Don’t listen to them. There are various kinds of companies and organizations which offer good non-teaching jobs in China. Companies usually want to hire only those individuals who possess not only certain degrees or certificates but also specific professional skills. Get One-On-One Consulting on How to Find A Job in China. Having professional skills is one of the most important eligibilities for acquiring a non-teaching job in China. You should have a look at your resume, analyze it properly and then add all kinds of professional skills that you possess, for instance, computer programming skills, projects, achievements, etc. Do not boast a lot on your resume. It’s not a common practice here. That being said, it is vital to possess industry-specific professional skills for employment opportunities in China. You should carefully examine the job description and match them with your professional skills to make sure whether that particular job is relevant for you or not. For instance, engineering jobs require having certain software or hardware programming skills which should definitely be a solid requirement for applying for that job. Do not waste your time by applying to the wrong ads. Again, you can start looking for jobs in various online websites such as zhipin.com, lagou.com in order to match your eligibility with the particular non-teaching job. Instead of searching the “job title”, use industry specific keywords. It would not be a bad idea to start your own business in China. There are various opportunities available for opening a startup business in China. With the advent of time, there has been a rapid increase in the growth and development of China. This has opened a lot of opportunities for the various aspiring entrepreneurs for starting their business in China. The article is from technode. If started in a proper and well efficient manner, you can accumulate a lot of income as well as profit from starting a business in China. China is one of the best places for starting a business of various products and services. There are many startup accelerators here and there’s a massive community for the same. This is one of the essential points to remember before applying for non-teaching jobs in China. You should make a firm decision of moving into China before applying for any job here. You should also make necessary arrangements for shifting to the country like getting a passport and the right visa. The most important thing to do before applying for a job in China is to first spend some time in the country. Do it, this will give you a picture about how things roll here. This would help you in gaining more information about the various kinds of non-teaching job opportunities available in China. This would also help you to get information regarding the various kinds of eligibilities, certificates, degrees, valuable skills and experience required for finding and getting non-teaching jobs in China. So, these are some of the various tips and techniques for getting a non-teaching job in China. China is a land of opportunities. Without a doubt, it is a superpower has emerged to be one of the most rapidly growing and developing countries of Asia. Need Help Translating & Formatting Your CV in Chinese? This means that there is a bulk of job opportunities available in the country for the aspiring individuals. With a little bit of planning, devotion and hard work, you would be able to find your dream job in China. Don’t care what others say. Non-teaching jobs are abundantly available all around the world including countries like China too. They all left China though. So, what are you waiting for? Start today! Go ahead… start your research and devote your time well to find a stunning non-teaching job in China. Contact me by email if you need job consulting.